If you were to ask a bunch of fitness enthusiast what one “must have” supplement would they place in their nutritional regiment, you would not only probably end up with a list a mile long but also varied just as much. I still think the two topping the list would be good old protein and Creatine. While you can make a strong argument for Creatine, I would not have protein on the list. You’re probably thinking “What??? ?” right now. No I see whey protein as more of a nutritional main stay rather then a supplemental aide. Any fitness enthusiast will tell you how important protein is to a fitness regiment. Whether you’re trying to add muscle, lose fat, improve for a sport, or just improve your general health protein plays a major role in all of these actions. Now even though I just explained how important protein is to the body, it does not end there for me. I would go beyond just generalizing protein and say a specific type of protein. I would have to say branch chained amino acids. 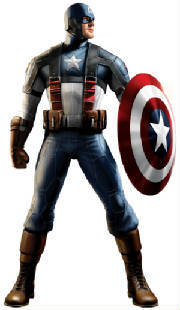 If proteins are the soldiers you need in your battle for muscle then branch chain amino acids are your “Captain America” super soldiers. Branch chain amino acids are comprised of three amino acids. They are L- Leucine, L-Valine, and L-Isoleucine. 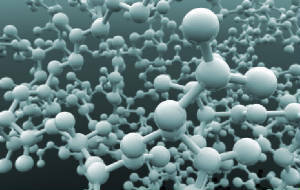 The term “branch chain” simply refers to the chemical structure of the amino acids. The three of these are also essential amino acids. Essential amino acids are amino acids that need to be obtained thru eating foods. 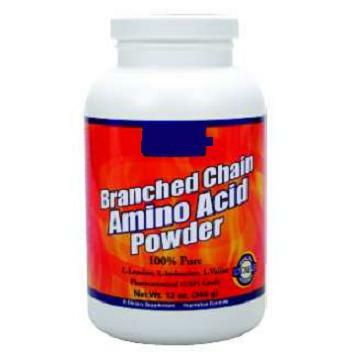 Branch chain amino acids make up more than 1/3 of essential amino acids in muscle protein. They also make up about 41% of the performed amino acids used by mammals. What are the benefits of branch chain amino acids? Branch chain amino acids have a variety of benefits for the body. Here are some of the benefits based on just a few fitness goals. Since branch chain amino acids make up a little over 1/3 of muscle protein, kind of makes sense to use bcaa’s when trying to add muscle. One of the biggest benefits bcaa’s (branch chain amino acids) provide when trying to add muscle is they increase protein synthesis. Protein synthesis is the process when cells begin to build protein. The faster this happens, the quicker you begin to see results. When branch chain amino acids are taken, they seem to help speed up this process. Branch chain amino acids do a great job at preventing muscle tissue breakdown. When the body is under stress like low calorie situations it is much easier for the body to want to break down muscle tissue instead of stubborn fat. By holding on to your muscle while dieting, this will improve you structurally. Branch chain amino acids also run the unique ability to be energy providers. Most amino acids have to go thru a process of being broken down, passing thru the intestines, and finally broken down by the liver before they can be used for energy. Branch chain amino acids can bypass this and be metabolized in muscle tissue. This is especially helpful on a low carb or low calorie diet. Not just from a fitness standpoint but in general, protein is very important to the human body. Let’s say you are on a very restrictive diet, be it for contest prep, health reasons, or maybe a vegetarian lifestyle. Sometimes these diets can limit your intake of certain amino acids. Branch chain amino acids will surely improve your intake of the essential amino acids. Branch chain amino acids are jems for bodily repair. To get bigger stronger muscles you have to train hard. Training hard however breaks down muscle tissue. Branch chains not only help maintain muscle tissue but aid in the repair after muscle tissue breakdown. Branch chain amino acids have also been shown helpful in the repair of tendons, injury, chronic illness, and some surgeries. One study suggested that patience given a branch chain amino acid solution during recovery remained in a positive nitrogen balance as opposed to a group that was not given the branch chain amino acid solution. For the group remaining in the positive nitrogen balance, this was an indication of little to no muscle tissue loss. What is the suggested dosage of Branch chain amino acids? You could buy your branch chain amino acids separate, but most come in pill or powder form already in the ratio that is best for optimum use. If you really want to try a supplement that gives you a lot of nutritional bang for your buck then maybe you should give branch chain amino acids a try. Not only are they essential amino acids that your body needs to get from an outside source, but they provide benefits that go way beyond your normal scoop of protein powder. So next time your thinking of a “must have” supplement make sure branch chain amino acids are on that list.